Desc: Sterling Silver diamond knot post earrings. 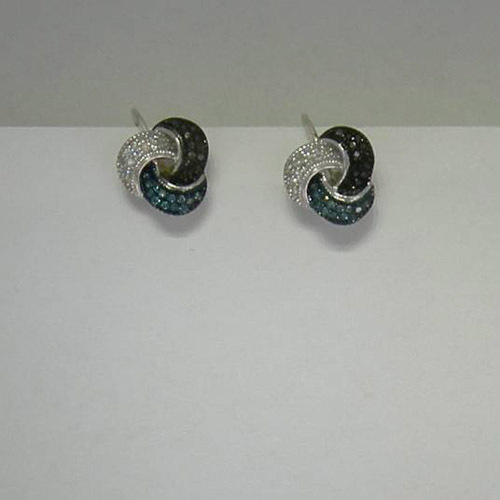 The earrings are fashioned in three sections. Each section has pave set single cut diamonds, white, black and green colored. There is rope design around the outside edges of the earrings. The earrings have a bright polish finish.